While the full fury of winter may not hit until after the Christmas holidays, the same is not true for commercial construction schedules. Winter can actually be a good time to kick off building projects, but if you wait too long to engage in proper preconstruction planning you likely will be left out in the cold. Late summer and early fall are critical times to finalize commercial construction project management plans for winter construction recommends Smet Construction Services. "Even with an accelerated design process, the additional time it takes to obtain local and state approvals can push groundbreaking out for months," says Scott Smet, President and CEO of Smet Construction Services in Green Bay, Wisconsin. "That's why it's crucial to execute a plan and schedule that allows you to take advantage of the seasonal tendencies in construction. We have learned that waiting until spring is not always a better option." The unpredictable conditions of spring weather can often mean unknown delays in getting projects started. Wet ground and tighter schedules for subcontractors can make it difficult to deploy services in a timely manner. And normal spring price increases for materials can make the wait even more painful. These factors will easily offset any minor costs incurred from winter conditions, when competition for commercial construction project management is much less intense. The result is getting into your new building sooner and getting a jump on increased productivity. Taking advantage of late fall and early winter weather conditions will allow major site work for footings, foundations and utility infrastructure to be completed while ground conditions are still favorable. 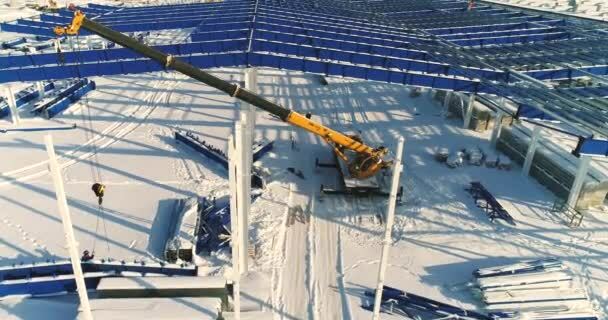 Once the structure is enclosed workers can proceed with interior initiatives in a controlled environment during the most severe stretch of winter. By April, when other businesses are caught in the traffic jam of spring construction startups, you will be taking your final steps toward occupancy. Talk to Smet today about the value of hiring an experienced and professional design-build construction company to do your commercial construction project management, so that your new building takes advantage of optimized project delivery. View original article on commercial construction project management here.